When it comes to looks, opening discs quickly, and quality of playback you can't do any better than Cambridge Audio's $700 CXUHD 4K Ultra HD Blu-ray player. At least for digital audio. Analog audio output is missing in action, so melding the CXUHD with older or retro sound systems will require a converter. The CXUHD is an all-metal (chassis and cover), mid-height unit (about one and a half rack spaces), with a brushed-aluminum faceplate and minimal front panel controls. The tray and LCD readout sit dead center, surrounded at well-spaced intervals by the skip forward, skip backward, eject, and pause/stop buttons. The overall appearance marries perfectly with the company's other A/V offerings, and veritably shouts British upper crust. The back of the CXUHD, where all the cabling action occurs, features one HDMI 2.0 output, one HDMI 1.4 output with ARC (for pairing with older A/V receivers), and an HDMI input for passing through signals from outboard equipment. 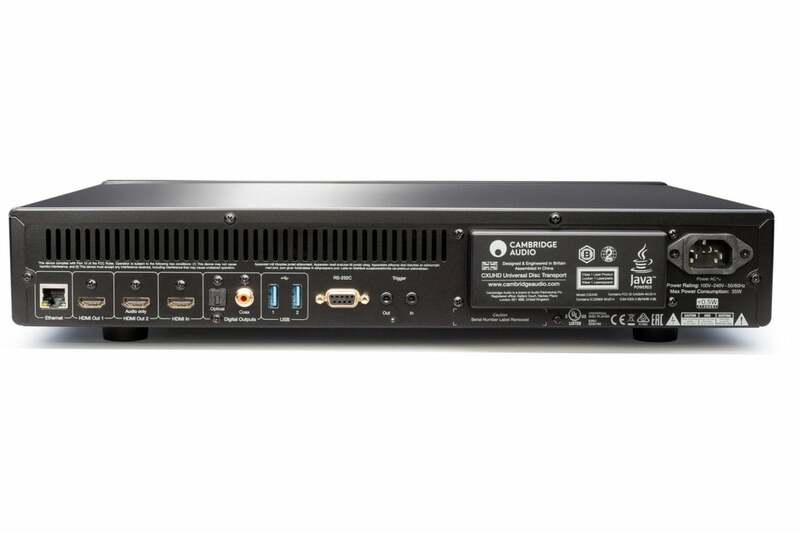 There's one optical and one coaxial digital audio outputs for connecting to an outboard DAC or an older A/V receiver that doesn't support HDMI, and there are two USB 3.0 ports for playback from external hard drives or memory sticks. That latter proved problematic as you'll see later. There's no analog audio out, but if you're rocking modern audio equipment, the CXUHD has you covered. For system integration and control there's a RS-232C and 3.5-mm in/out trigger jacks, which should cover just about any modern set up. There's no RCA output, not even a headphone jack, though that's become a rarity these days. If you have legacy equipment sporting only analog inputs, you'll need to look at something like Oppo's UDP-203, or a converter. If a car manufacturer makes the feel of a door too light, and it doesn't close with a satisfying thunk--dealers have a hard time selling the car. It's the same with disc players--if the disc tray has a lot of flex or doesn't feel secure, you sure as heck won't pay $700. That's a long-winded intro for a simple piece of info: the CXUHD's tray feels solid and smooth, though you should of course make it a habit to use the inject/eject button to keep it that way. The CXUHD's on-screen interface is reminiscent of the Oppo's, both in appearance and the way it's navigated. That's not shocking given that both players are likely relying on Linux for their operating system. Said GUI is a simple affair that automatically detects discs and starts playback, and provides access to files and settings via a series of icons at the bottom of the home screen. Standard stuff, but easy to learn and navigate. 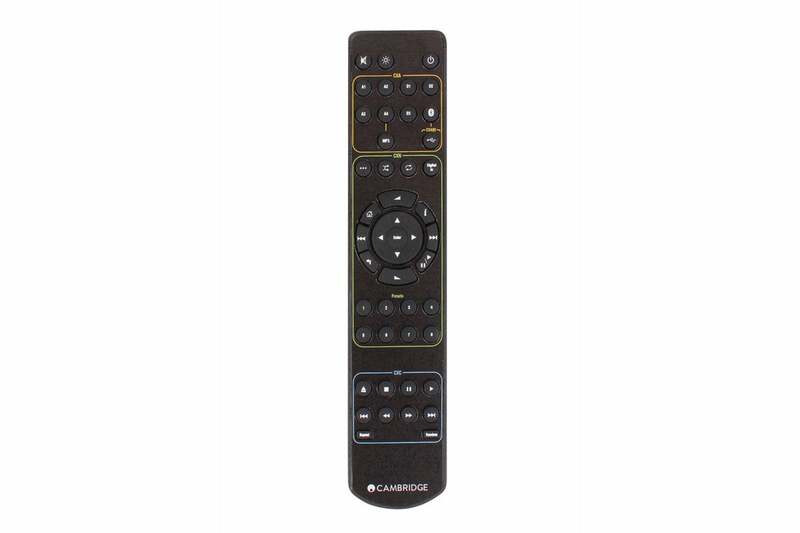 Though not our favorite of all time, the CXUHD remote beats Oppo's, though not by much. The CXUHD's remote is on the large side, though slimmer than Oppo's. The rocker button and transport control ring are densely populated, but are easy enough with only two or three sessions to acclimate. Once you do, every transport function remains under your thumb without the need to readjust your grip. If there's any gripe about the UI, it's that the overall look and feel of the remote and interface seem more in line with a $200 player, not one that costs $700. To be fair, rival Oppo suffers from the same "issue." I refer both companies to Samsung. The CXUHD loaded discs very quickly; usually it being mere moments before the contents of the disc popped up. If you're accustomed to the tedious spin-ups and enumeration that is the hallmark of optical on PCs, prepare to be pleasantly surprised. Unless some sort of digital-to-analog, resolution, or frame-rate conversion is in play, all a disc/file player really needs to do is accurately translate the information it reads from disc and pass it down the digital pipeline. The material was already created/recorded and processed before it ever hits the disc or file. Because of this, it's difficult to spot differences between players when feeding a full 2160p signal to a full 2160p display unless the player screws up majorly. The CXUHD didn't. 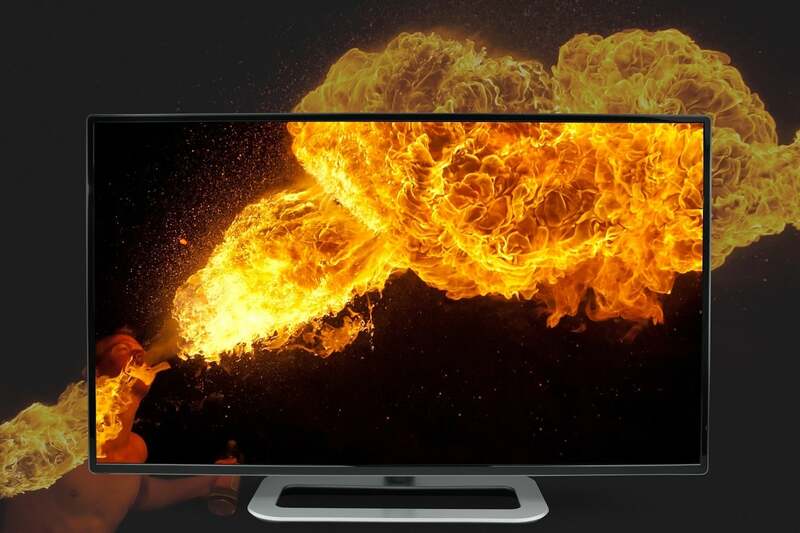 It played Ultra HD Blu-ray and Blu-ray titles as well as any player we've tested. There's no better-looking Ultra HD Blu-ray player available in our book. Where you separate the adults from the children is when you convert a 2160p signal to a 1080p display, or upscale 1080p/720p, etc. for use on a 2160p display. Many displays do this on their own, but it's nice if the player does it--you can pick which you find more pleasing. Happily, the CXUHD conversions passed the upscaling and downscaling eyeball tests with full marks. Audio was also rendered flawlessly, though again, it's the same deal as with the video--it's just a matter of passing it on as is, unless there's digital-to-analog conversion happening, which there is not with the CXUHD. 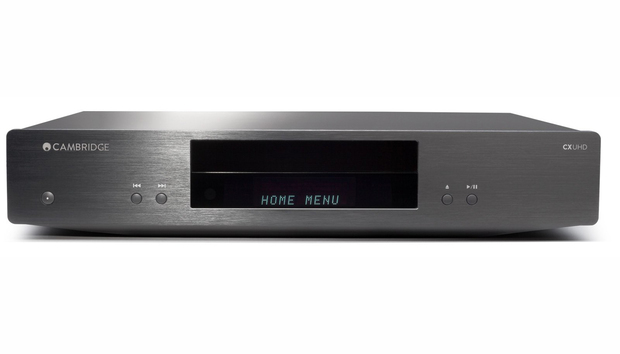 Is the CXUHD a truly universal disc player? As far as testing showed, the CXUHD is indeed the universal disc player the company claims it is. It read and played everything placed in its tray perfectly: DVD, Blu-ray, and Ultra HD Blu-ray movies; CD Videos; Kodak Photo CDs, SACDs; and CDs with MP3 tracks. The CXUHD also supports both the major HDR standards at work here in the United States: HDR10 and Dolby Vision. There's a format war going on, and the eventual outcome is hazy, but it certainly looks as if Dolby Vision will be around for the finish. That the CXUHD supports it means the player is unlikely to become obsolete any time soon. HDR 10+ is rumored to rival Dolby Vision's picture, and to be backwards compatible with HDR10, so the CXUHD should be fine with that as well. While it played every disc thrown its way, the CXUHD wasn't as comprehensive in its support for image, video, and audio files played from USB media. Audio was the strongest, with support for uncompressed DFF (SACD), MP3, WMA, Ogg, APE, FLAC, and Apple Lossless (ALAC). Audio files the CXUHD wouldn't play were compressed DFF, 64kHz and 96kHz/32-bit WAV files (it did play 16-bit-and 24-bit files). There's also no support for Windows Lossless. WAV files in all resolutions other than those mentioned played fine, including 5.1- and 7.1-channel surround tracks. The CXUHD supports JPG, BMP, GIF, PNG image files, which should cover just about everybody these days, though we still occasionally run across the TIFF files that the player doesn't support. Where there were some surprising glitches was in the video file support. Not playing DivX and some Quicktime files was a minor issue, but the player not rendering our HDR10 test files properly caused some consternation. They played, and the TV's info function said it was in HDR10 mode, but the color was not nearly as saturated and contrast was not up to what it should be. A firmware upgrade that Cambridge Audio sent us was said to cure the issue, but we could not load it from a USB stick. The Dolby Vision that the CXUHD supports is indeed far better than HDR10 in both color and contrast. I also encountered a glitch connecting to the internet. Wi-Fi was fine, but hardwired ethernet was DOA. Our test player was to be returned to Cambridge Audio for replacement; however, the exchange had not occurred at the time of this writing. We fully expect the company to fix both the HDR and ethernet issues (assuming we didn't just have a bad unit), but we do recommend that you thoroughly test your unit out of the box to make sure everything functions as it should. 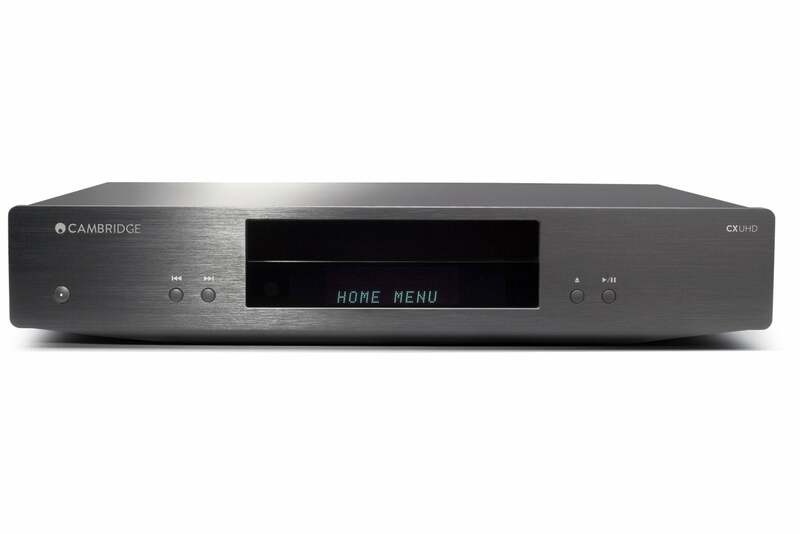 The Cambridge Audio CXUHD is could be the best disc player TechHive has tested so far. If you need or want analog audio output and better file support, the $549 Oppo UDP-203 is cheaper and comparable on all fronts.